So if you like Blizzard games at all you’ve probably heard about the product slate leak. Which may or may not, in fact be a leak. It may just be a fake. But, for the sake of interest, let’s assume it’s a leak. In essence, the leaked slide depicts what Blizzard’s working on for the next 5 years. Some of it’s expected : more WoW expansions, two more in fact. So Wowfags will have a lot to keep them busy over the next half a decade. There’s some more expected stuff. Starcraft 2 expansions. The thing that has everyone talking, though, is something called Titan. Which looks set to be a MMO FPS. Beyond that, we know nothing. So let’s speculate. Speculation is fun! “the only natural satellite known to have a dense atmosphere, and the only object other than Earth for which clear evidence of stable bodies of surface liquid has been found. The moon itself is primarily composed of water ice and rocky material. The kicker is that last bit. That it may host life. 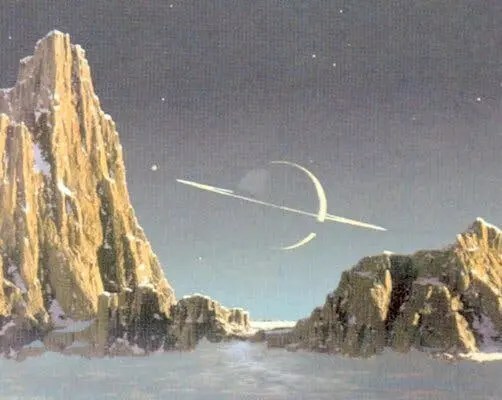 So I’m going to take a wild guess that, perhaps, Blizzard’s Titan has something to do with Saturn’s sixth moon. That it may be a science fiction epic. That it may have something to do with colonists from Earth traveliing to the planet, and that they may encounter some form of primitive alien life. Which may lead to some form of conflict. I’m thinking Avatar – the MMO. I know I’m excited at the possibility. Can Blizzard, however, succeed where Richard Garriot failed with Tabula Rasa? You know, I kind of think they can. Bring it on.